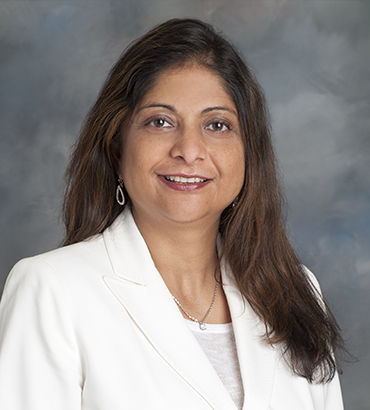 Dr. Singh’s background in critical care, lead her to the field of Anesthesiology and Pain Management. Here, she specializes in the diagnosis and pharmacological management of acute and chronic pain. Dr. Singh works hand-in-hand with Dr. Mann to provide anesthesiology services to patients who’s procedures require sedation. Having an on-site Anesthesiologist also allows us to be one of the only out-patient facilities in the area to offer sedation with MRI. This enables us to diagnose and treat patients who previously could not sit through an MRI – such as those with claustrophobia, extreme pain, or difficulty lying down. I have Cerebral Palsy. Well on top of that I have arthritis in my spine as well as spinal stenosis. The Arthritis is also in my neck and in my knees and probably in my Feet……I have been a Patient of Dr. Mann and Dr. Singh since 2011..Before becoming a patient at G.S.M.C. my pain was all over the place. Since becoming a patient in 2011 I still have the pain but it is much more manageable.. I am very happy with the Treatments that I have gotten over the last 5 years and between the Arthritis and the Cerebral Palsy I do not know where I would be without their Treatments……..Only thing that has changed over the years is I miss Dana and Lori…Their bedside manner was impeccable. 6 Year Patient of G.S.M.C. The Dr. S and staff are the best if I didn’t move I would have never left the group I did find another pain management but still a little hesitant I have so much trust in Dr. Mann and Dr Singh.